Differentiate and diagnose headaches and migraine. by Dr Giles Elrington. Headache is common and most patients are managed in primary care. For most, headache is an occasional annoyance, but for some it can be severely disabling. The International Headache Society (IHS) classification is fundamental to research and to the evidence base.1 It uses a computing analogy to describe primary headache as a common 'software' problem and secondary headache as a relatively uncommon 'hardware' problem. NICE guidance addresses the risk of secondary headache. Headache triggered by the Valsalva manoeuvre or by exercise, abrupt onset headache, the older patient, and known cancer are helpful pointers. A 'change in personality' and 'symptoms suggestive of giant cell arteritis' are less helpful. Risk of secondary headache in new presentation to primary care is 0.1%. Primary headache is usually migraine, a dysfunction of the trigeminal nucleus in the brainstem. The exceptions are the trigeminal autonomic cephalalgias (TACs), of which cluster headache is the most commonly recognised. TACs arise in the midbrain and give strictly unilateral pain, typically orbital, with ipsilateral autonomic features. The treatment strategy differs from that of migraine. Tension-type headache (TTH) is featureless and non-disabling, so when present alone does not need medical treatment. Migraine affects up to 20% of people and is a feature-full disabling headache. It was thought to be episodic until 2004, when chronic migraine was defined. This useful classification change acknowledges the comorbidity of migraine and TTH. Most people disabled by persistent headache have chronic migraine, that is, 15 or more days of pain per month, for at least three months. At least eight of the 15 days must be migrainous. Medication overuse headache (MOH) is essentially the same as chronic migraine, but accompanied by the use of rescue medication for more than 10-15 days a month. The IHS criteria for chronic migraine exclude MOH, although this is likely to be revised soon. The most important matter in managing chronic headache is to address MOH, which is probably a specific complication of migraine, being absent in pure TAC. MOH often complicates resolved secondary headache. Careful enquiry is needed to assess the diagnostic features associated with migraine. 'Queasy' is a useful word, rather than 'sick' or 'sickness', because light, noise and smell sensitivity are easily overlooked. Stoical patients may deny feeling a need to rest. Pulsating or thumping pain is subjective and not essential for diagnosis. 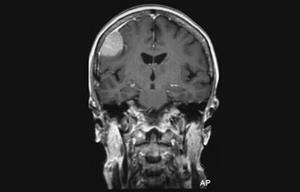 Lateralisation is also in the diagnostic criteria, although migraine may be bilateral and is often asymmetrical. Recurrent head pain with queasiness, or light or noise sensitivity, or a preference for rest, and a normal examination, is migraine. Aura, a transient cortical or brainstem dysfunction, occurs in up to a third of patients with migraine and is usually easily recognised. Aura without headache is common. Prodrome occurs hours before many migraine attacks; typically, a change in mood or diet. Yawning is a common prodrome. When there is doubt about the history, a headache diary is invaluable. One to three months is usually sufficient. Record all pain and associated features, leave a blank if no pain and record all medication, whether prescribed or OTC. All patients with new headache require a brief neurological examination that can easily be carried out in a routine primary care consultation. Look in particular for papilloedema, eye movement disorder, ataxia and hemianopia. Diagnosis of MOH hangs on the history, which can be difficult to obtain. Most patients take triptans, opiates or combination analgesia and the threshold is 10 days a month, over three months or longer. Simple analgesia taken for 15 or more days a month also fulfils the criteria for MOH, but most patients will have stepped up to stronger drugs long before a diagnosis of MOH. TAC is suggested by severe orbital pain with autonomic features. A brain scan is the key test. Although it may be tempting to scan everyone with headache, this is impractical and creates demand for repeat scanning in persistent headache. Incidental abnormalities affect one in 40 to one in four healthy people;2 their detection can harm health. Scanning must be selective. MRI is more sensitive than CT and avoids irradiation. NICE advises against scanning for reassurance, but when a patient demands a scan it is often pragmatic to agree to just one. After a normal MRI, it is reasonable to refuse a further scan in the absence of a specific new indication. Patients with migraine should avoid dehydration and excess caffeine or alcohol, and aim to reduce stress. Aim for the abolition of pain and resumption of normal activities two hours post-dose. Some patients respond well to a simple analgesic, such as aspirin 900mg or ibuprofen 600mg, preferably dissolved in water; adding domperidone 20mg to address gastric stasis (even if no nausea or vomiting) can be helpful. This may be used during prodrome, aura, or at pain onset and repeated as appropriate. Triptans are not always adequate in anticipation of pain and should not be repeated following an ineffective dose. There are seven triptans, all available as tablets, three as mouth-dispersible (convenient but no other advantage), two as nasal sprays (extent of nasal absorption is contentious) and one as a self-injection which usually brings relief in 30 minutes, at an NHS cost of about £20. This is the only triptan licensed for patients with cluster headache. Most patients use triptan tablets; a meta-analysis describes their relative merits.3 Sumatriptan is first choice. Prophylaxis is considered after addressing the above strategies. Indications for starting prophylaxis may be a monthly disabling attack unresponsive to acute medication, but not weekly attacks responding well to acute rescue. A headache diary and long-term planning are important. With a minimum three months of treatment, titrate to the maximum tolerable dose. The following may be tried, but not all are licensed in this indication. Nutraceuticals, for example, vitamin B2 400mg daily after breakfast, or co-enzyme Q10 100mg three times daily, are worth considering. BP drugs, particularly beta-blockers, are a popular choice in primary care, although they can worsen depression or sleep disturbance. Antidepressants, particularly tricyclics (probably not SSRIs), are widely used, although their side-effects and stigma are problematic. Pizotifen is widely used in primary care. Weight gain and drowsiness are common side-effects. Antiepilepsy drugs are increasingly used. Topiramate is licensed in this indication, although cognitive and affective toxicity are common. Botulinum toxin is licensed for prophylaxis only of chronic migraine. MOH requires cessation of overused medications. Transient worsening can last two, rarely four, weeks. This requires planning by the patient, perhaps time off work or family support. Naproxen 250mg or 375mg three times after meals, and/or domperidone 20mg three times daily before meals, to address pain, and nausea, vomiting or gastric stasis respectively, can be considered for a few weeks. Migraine improves naturally with age. Frequency and impact vary over time, often leading to confidence in ineffective therapies. In childhood, episodes tend to be shorter, with prominent vomiting, symmetrical pain and abdominal rather than head pain. The female preponderance begins at puberty but menstrual migraine is mostly a disorder of younger adults. In middle age, presentation is often as aura without headache, chronic migraine, or MOH, which is the most common but not the only reason for the headache becoming chronic. Migraine usually improves from the second trimester of pregnancy until cessation of breastfeeding. 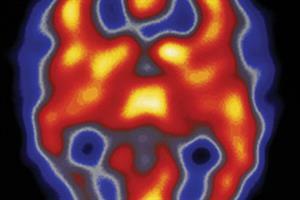 Migraine aura in younger women is associated with a small increase in cardiovascular risk. This risk is very small but it is a contraindication to the estrogen contraceptive pill. As a child, MK suffered travel sickness and sometimes had a stomach ache lasting a few hours or all day. In her teens, she began to have bad headaches, which improved after vomiting but kept her off school all day, about six times a year. In her A level year, the episodes increased but she controlled them with diet and painkillers; she got through her exams with painkillers, which worked well. This strategy worked through university and into early working and married life. By the time her children were at school and she was working part-time, she could tell when she was going to have a migraine and used analgesia then. Some attacks did not respond and one took her to A&E, where a CT scan was normal and she was given stronger analgesia. Later she saw a neurologist, had a normal MRI scan and was told all would settle now a serious cause was ruled out. But the headaches worsened and she had to take more and more painkillers. A GP with a special interest in headache asked her to keep a diary, showing she had pain 15-20 days a month, with one or more doses of codeine/paracetamol on each of those days, when she usually felt queasy and was mildly light sensitive. The GP's advice was to stop all medication. The patient contacted her employer's occupational health nurse, who arranged two weeks' planned sick leave, while her mother cared for the children. The first 10 days were difficult, with pain and nausea. She rested in the dark with an icepack on her head during bad attacks. In time, she needed sumatriptan 50mg and domperidone 20mg once or twice a month soon after a headache started, and within 90 minutes she was back to normal for most attacks. This has been useful in establishing the importance of addressing MOH. Established strategies such as trigger avoidance and lifestyle hygiene are largely overlooked, however. British Association for the Study of Headache guidance. This covers migraine, TTH and cluster headache. The current edition, dated 2010, is due for revision by December 2013. It summarises the views of UK headache specialists from primary to tertiary care. Information for patients and healthcare professionals. 1. The International Classification of Headache Disorders (second edition). Cephalalgia 2004; 25: Suppl 1. 2. Morris Z, Whiteley WN, Longstreth WT et al. Incidental findings on brain magnetic resonance imaging: systematic review and meta-analysis. BMJ 2009; 339: b3016. 3. Ferrari MD, Roon KI, Lipton RB et al. Oral triptans (serotonin 5-HT(1B/1D) agonists) in acute migraine treatment: a meta-analysis of 53 trials. Lancet 2001; 358(9294): 1668-75. Revise the criteria for MOH and ensure this diagnosis is not missed in patients with chronic headache. Offer to help any medical students or trainee doctors in your practice learn about a neurological examination that can be performed during a 10-minute consultation. Review the National Migraine Centre algorithm (see Evidence Base). Dr Elrington has undertaken clinical trials in many aspects of neurology and received funding from the pharmaceutical industry, including Allergan, for whom he was a triallist in chronic migraine and a paid adviser and lecturer. Contributed by Dr Giles Elrington, medical director, National Migraine Centre, and consultant neurologist, Barts and The Royal London hospitals.